Factory 670 — Bora Hong Work. 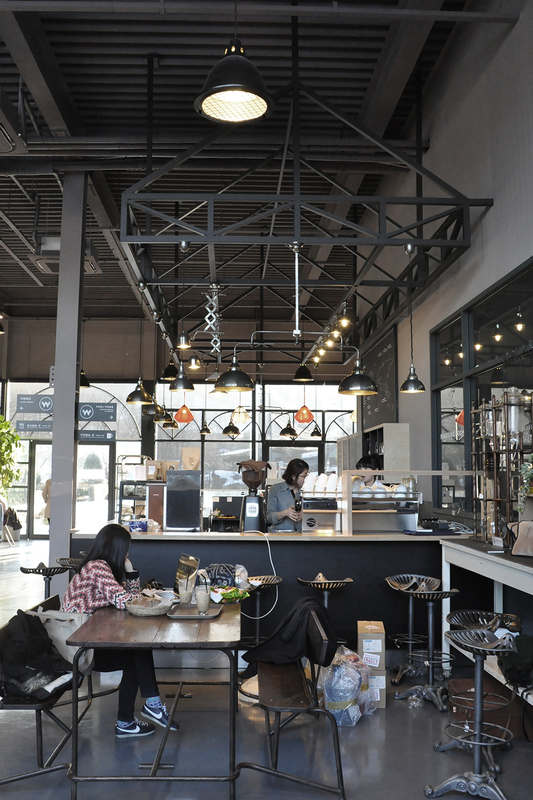 Factory 670 is the caffe in Korea by Hankook coffee which is leading high quality coffee culture in Korea. I designed the caffe in their coffee factory. Factory itself has an original atmosphere and it was bit challenge to make factory turned into the caffe, but the factory when turned to cafe, it can show their roasting room and bakery. The place is now very popular in Korea, it is placed in outside of busy city. People enjoy the isolation of business and fresh coffee.